There is nothing better than the perfect red lip. It speaks for itself – exuding confidence and control, command and dominance, power and an air of glamour. The red lip is what we use to portray women who are going to conquer the world. Or at least, the red lip is what we use when women aren’t eating. We’ve all been there – that first fancy dinner with your family, or that special first date. You put on lipstick to get all dolled up and totally forget what you’re wearing until you’re halfway through your pasta and your lip colour is now halfway to becoming your blush. However, there are options now. Liquid lipsticks promise that they will last. There are 12-hour, 16-hour, 24-hour promises, with smudge and kiss proof assurances are the claims to fame that were first made famous by such makeup companies as Kat Von D and Anastasia Beverly Hills. However, not everyone can afford those. And to you, my friends, I bring good news. Drugstores have liquid lipsticks. Not all of them are advertised, but they’re there. Snuck into the displays, companies like Maybelline and Rimmel are providing alternatives for the everyday woman who can’t really afford a $23 lipstick – no matter how good. But how do you choose? Which one is the right one? Worry not, for there is a resolution. Having tested four brands, I have considered colour, wear time, smudging and most importantly comfort. And now, the competition begins. Cover Girl’s Outlast All-Day Lip Colour in Starlit Pink. 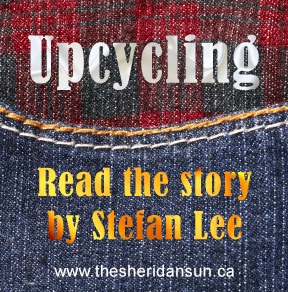 (All photos by Cait Carter/The Sheridan Sun). Cover Girl provides the least expensive product, with prices at drugstores averaging around $10.99. The box comes with two containers: one for the colour and the other for a balm to finish with. Cover Girl has a decent product here.With more than 40 colours available you’re bound to find the one you’re search for, and the colour doesn’t fade while eating or drinking. However, it takes more than one coat of the lipstick for the colour to really become noticeable, and it lasts around five to six hours before it needs to be reapplied. For the record, reapplied means removed and then reapplied. You can’t just wipe over this stuff, lest you want flaky pieces from your lips mixing in. And on that note, the Cover Girl lipstick is very hard to remove. Despite flaking off after five hours, its extremely challenging to remove without an oil-based makeup remover. Keep it if you’re looking desperately for a very specific colour, but otherwise turn away. There are better alternatives. 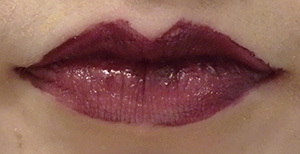 Rimmel’s Provocalips in Kiss Me You Fool. Rimmel’s product is actually the most expensive of the lot, coming in around $13.99 at drugstores. It also happens to have the smallest colour range of nine options available. The colour is consistent – it applies smooth and dries matte. While it looks thin at first, the lipstick almost balances itself as it dries on your lips. I tried out a bold red and was particularly impressed by the colour after just one coat. I liked the lip gloss that came with Provocalips. It was fragrant in an interesting way, and felt more like a gloss than a balm. This might be the glamorous human in me craving something a little special, or maybe the fact that I find lip balm pretty boring and uninteresting. Jury’s still out on that one. Rimmel’s claim is 16 hours of long wear, however I was ready to end things after nine hours. One thing I noticed that was different from the other liquid lipsticks is that Rimmel’s product takes forever to dry. Over two minutes. And even after this, my lips felt very sticky and tacky all day. It was hard to ignore that my lips had anything on them, and I felt them sticking to each other all day. The colour seemed to bleed as well. While it was kissproof, wiping my lips on my hand left tiny flakes of product on my skin, and the gloss was stained red from the lipstick product offered. If you’re looking for a great colour tone, Rimmel’s the one. Just accept that you will feel like there is bubble gum on your lips all day or night. L’Oreal Infallible Pro-Last Lipcolour in Mesmerizing Merlot. We have to start by giving L’Oreal credit because boy, they do know how to sell a bottle. While the other products are sold in white containers, L’Oreal’s product is sleek and black with gold writing. Anyone who has a thing for containers knows that’s a nice little touch. Of course, for $13.99 I would expect something a little nicer, though. But the product? Well. L’Oreal offers 24 colours in its Infallible Pro-Last lipcolour line. It also has a unique “doe foot” applicator that the other two do not, which is longer. It makes it a little easier to apply the product to the bottom lip, and a little awkward to apply the top without manoeuvring your face in all sorts of contortions. The product’s nice, though! It dries pretty quickly, and doesn’t feel very thick. It’s easy to forget you’re wearing it, and it lasts for around eight hours. The only time it faded was when I was eating oily foods, but I didn’t bother reapplying. L’Oreal is like all liquid lipsticks – you have to remove to reapply, and no one has the time. The big issue with the lipstick here was that the product was thin. The colour dispersed more like a gloss and it was a challenge to get it to spread evenly. My lips looked half applied and half undone by the time I gave up on them, but they did stay that way for most of the day. So . . . half kudos for L’Oreal. Maybelline’s Superstay 24 Hour Colour in Forever Chestnut. Maybelline is on the same level as L’oreal with its variety. While their bottle isn’t quite as nice (sadly), they have the same number of colours available (24, for you forgetful lot) and also provide the same unique doe foot applicator as L’oreal. From there, things separate though. The 24 Hour Colour is around $11.99 at stores, which is a great price for a student budget. Maybelline’s product disperses evenly and easily – it smooths on nicely with a good amount of colour to the product. There was no concern over whether I needed to apply it again. It also dried fast – under a minute. Considering I was applying it while getting ready for school, I appreciated the extra minute that I didn’t have to stand around with my mouth open looking like an idiot in my bathroom. From there, things were smooth. I forgot halfway through the day that I had the lipstick on, and had to ask people I knew if they saw any lipstick on (yes, they did) and it lasted for a full eight hours without any colour loss. Again, eating oily foods lost some colour in the centre of my lips, but otherwise I was golden. Maybelline really sold me on this product- it had the major sell points I was looking for. The only qualm I could find was that again, it’s hard to remove, and that it’s a bit of a challenge to find a matte shade. Most offered had a sparkle or shimmer added to them for dimension, and if you’re not looking for that, you’re going to be challenged. But otherwise? I was happy. The lesson learned here is that you do not need to fork out heavy cash to get a good product. There’s benefits to walking into Sephora. Sure, I do love that cute little black bag and the tissue as much as anyone else. But some days there has to be some budgeting. And when there is, I’m looking to Maybelline, and you should too. I’m also investing in oil-based makeup remover. After all this testing, I might have stained my lips for a while. Added by Cait Carter on February 23, 2016.